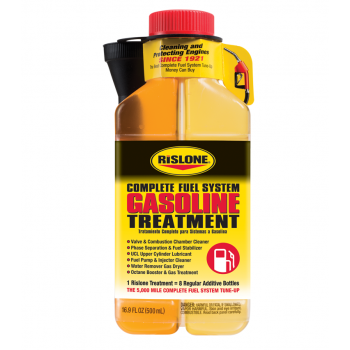 Rislone Complete Petrol Fuel System Treatment improves the quality of petrol by increasing its cleaning ability, adding lubrication, removing contaminants, reducing spark knock, and helping to prevent the fuel from going bad. This one dual cavity bottle contains the same amount of additives equal to a bottle of regular fuel injector cleaner, upper cylinder lubricant, fuel stabilizer, dry petrol , petrol treatment and octane booster. 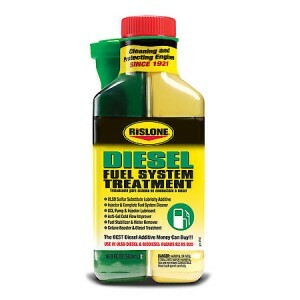 Use with All: Unleaded, Oxygenated, E85 and Ethanol containing petrol. Works with all Fuel Injected, Direct Injected, and Carbureted Engines. 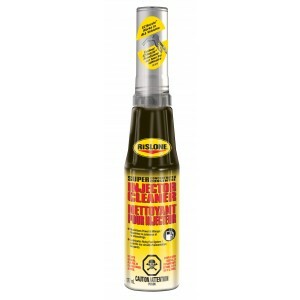 Increases power, performance, mileage and saves petrol by cleaning & lubricating the complete fuel system. 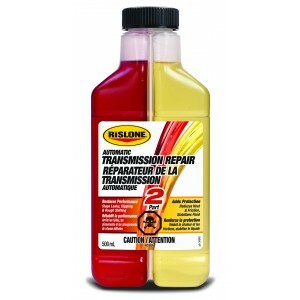 Helps eliminate noisy injectors & fuel pumps, rough idle, hard starting and hesitation.